Three handsome visitors came to see Mr. Mulder and Miss Elizabeth. 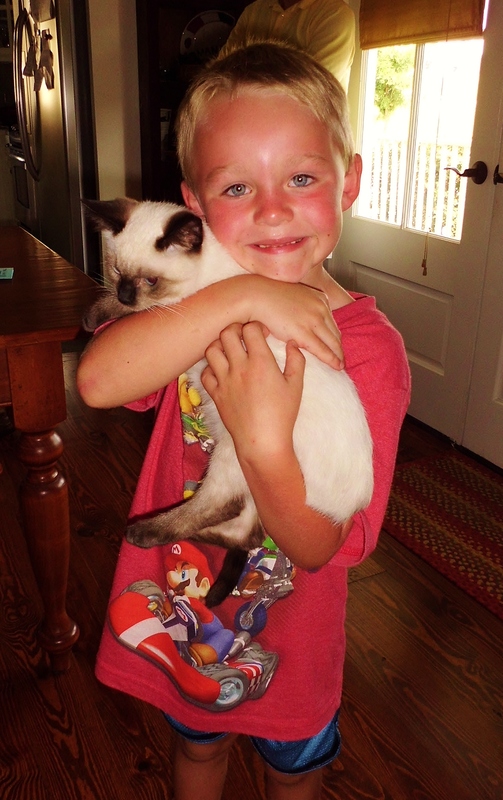 My friends Sue & Mike have some top-notch grandsons who are in love with my kittens. Actually these dashing young men rescued Willy and brought him to me last month. Their grandfather Mike, found Miss Elizabeth abandoned near his little church in the country and gave her to me to fatten up. 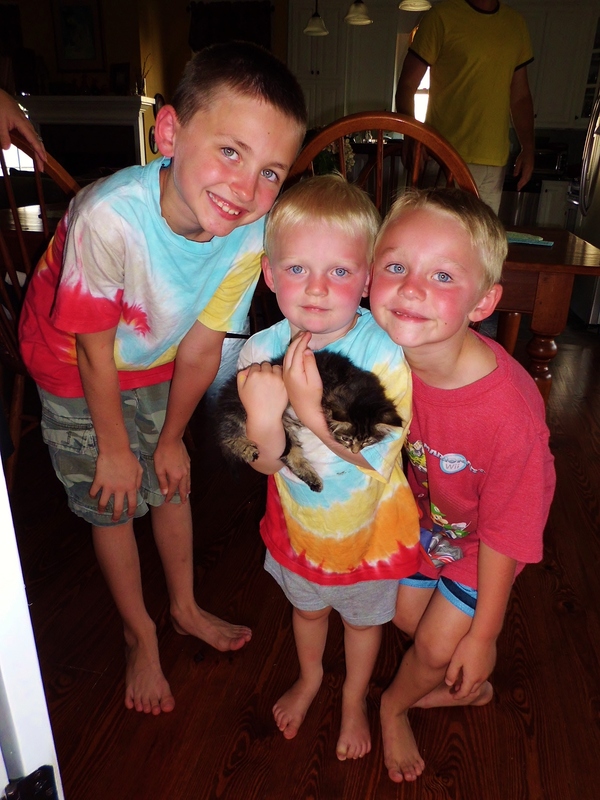 What beautiful little boys! Debbie, you could open a little petting zoo and have CAMP DEBBIE AND JIM!